Standing out online is tough – you’re up against more than 1.8 billion websites. That’s a lot of competition. So how can you stand out? How can you compete with all of those other sites to get the lion’s share of clicks (and the business that results from those clicks)? Search engine optimization is the process of creating a website that search engine algorithms find irresistible. When a search engine crawler comes to your site, it goes through your pages looking for content that will be valuable to users. When it finds those pages, it puts them in that search engine’s index. Then, when a user types in a query (like tips from SEO experts or how to optimize my website), the search engine’s algorithm dips into the index to find the pages most likely to answer that query. Not too long ago, SEO was a lot easier – and it was easier to game the system. That led to search engines delivering junk results to users, and that’s the last thing search engines want to do. They’re in the business of delivering quality results; if they don’t, people will stop using them. Google continually updates its algorithm, as do the other major search engines. They’re always making tweaks and changes to ensure that they deliver the best possible results to their users. 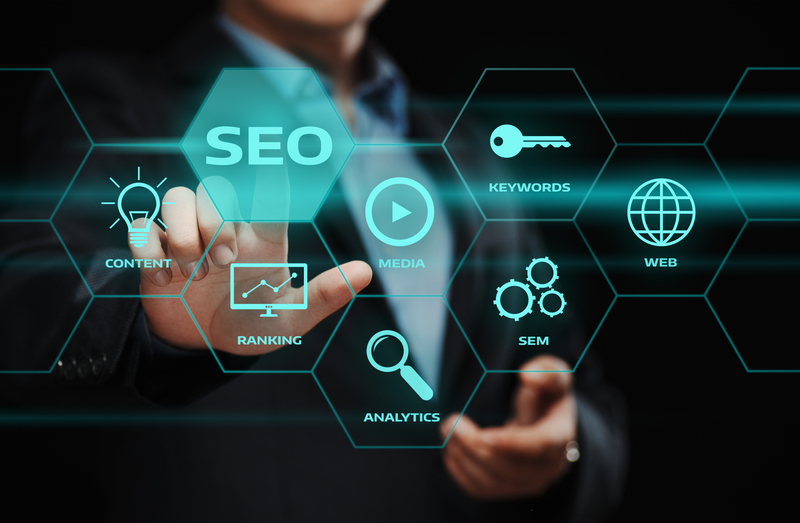 Your best bet is to work with an agency that understands SEO and keeps up with the latest updates – that way, you’re always one step ahead of your competition. Beyond the first 3 to 5 seconds, you have to keep your users engaged. Most website users leave before 59 seconds have elapsed – and if you haven’t completely captivated your audience by then, you’re probably not going to. And the best way to do that is through amazing content. Content can be more than text. It can be visually pleasing images, like infographics, or it can be video with a transcription, or it can be a list of products you’re selling. The basis of your SEO strategy should always be content. You can’t optimize your site for users without it. Search engine optimization doesn’t happen overnight, and it doesn’t happen in a vacuum, either. When you commit to SEO, you must commit to sticking it out for the long haul. Usually, you won’t see immediate results – and if you call it quits, the work you did do will most likely be for nothing. It takes time for search engines to notice content and start delivering it to users. But the good news is that once the search engines do start noticing your content, they’re more likely to come back and crawl often. When you regularly update your website with blog posts, new pages, new products or listings, and other content, your site will do much better than one that’s gathering dust. Regular updates show Google and other search engines that your site is active and can offer searchers the most current information. Your website isn’t for you – it’s for your users. And the one thing that Google is most interested in, aside from you answering a searcher’s query, is user experience, or UX. The search engine prides itself on delivering the best quality results, and that includes websites that searchers enjoy using. Understanding – and catering to – your users is essential in creating a good UX. Think of your website as your customer’s pathway toward doing business with you. If you have a brick-and-mortar location, it’s clean, easy to navigate and easy to make purchases; your website needs to be the same way. Remember, too, that Google is tracking what people do on your website when it delivers it in the search engine results pages, or SERPs. The better your UX is, the longer people will stay, and the more likely they are to click through to other pages. This is a huge factor in SEO. Slow pages won’t rank as well, because again, Google and other search engines are in the business of delivering the best possible results. The good news? You can almost always make your website load faster. You can optimize images, use a content delivery network, minify code or even work with a faster web host to boost your site speed. If you’re not answering any questions (or queries, which are the terms people type into search engines), Google isn’t going to deliver your site to anyone – let alone put you in the top spot on Page 1. It’s incredibly important that the pages on your website answer queries. Many people want to rank for “vanity” keywords. Vanity keywords are those that may describe what the website or page is about, but that aren’t likely to deliver qualified traffic that produces high conversion rates. Let’s say a business owner wants to rank for the term “houseplants” because he sells beautiful houseplants in Colorado. While the term “houseplants” is searched very frequently, it’s very unlikely to send him qualified customers. When you create content for your website, it’s important to figure out exactly what your customers are searching for. Then, provide answers to their queries. 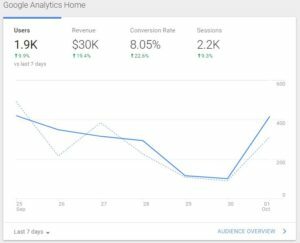 If you’re not taking advantage of analytics tools, keyword researching tools and in-depth reporting tools (or you’re not working with a firm that does), you’re not fully committed to SEO. Local SEO is more important than ever if you have a brick-and-mortar location where you sell products or serve your clients. In addition to putting your location on your website and having a robust Google My Business listing, you need to optimize your site for local search. To that end, title tags, header tags and meta descriptions must include local information. Include reviews – or the ability to review your business – on your website, and claim your profiles on review sites like Yelp. There are several review management tools you can use, too, including Reputation Love. 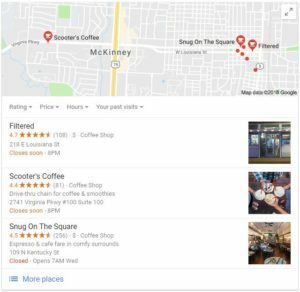 Having a great Google My Business listing and locally optimized content on your website can also help ensure that you show up in Google’s 3-Pack, which is the group of three results it shows beneath the map on a search. In order for Google’s algorithm, Hummingbird, to understand what your website’s pages are about, you must structure your content properly. That means creating a URL that has your keyword in it, using a title tag that also includes your keyword, and using variants of your keyword throughout header tags and body text within each page. Let’s say your keyword is secret SEO tips. You’ll want to include that throughout your document, as well as variants of that phrase – like expert SEO tips and SEO secrets. Hummingbird can fly into your pages, extract all the important information from your headers and semantic keywords (words and phrases that are similar, but not an exact match, to your target keyword), and determine that you have an extremely valuable page that will help people. Pro Tip: Name the images on your site for SEO, too, and give them alt text that reflects the same keywords. For websites, design is important – especially when it comes to mobile-friendliness. 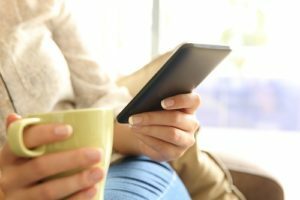 Most searches take place on mobile devices, with an increasing number of those originating with voice search – and that means your site needs to be mobile-friendly. 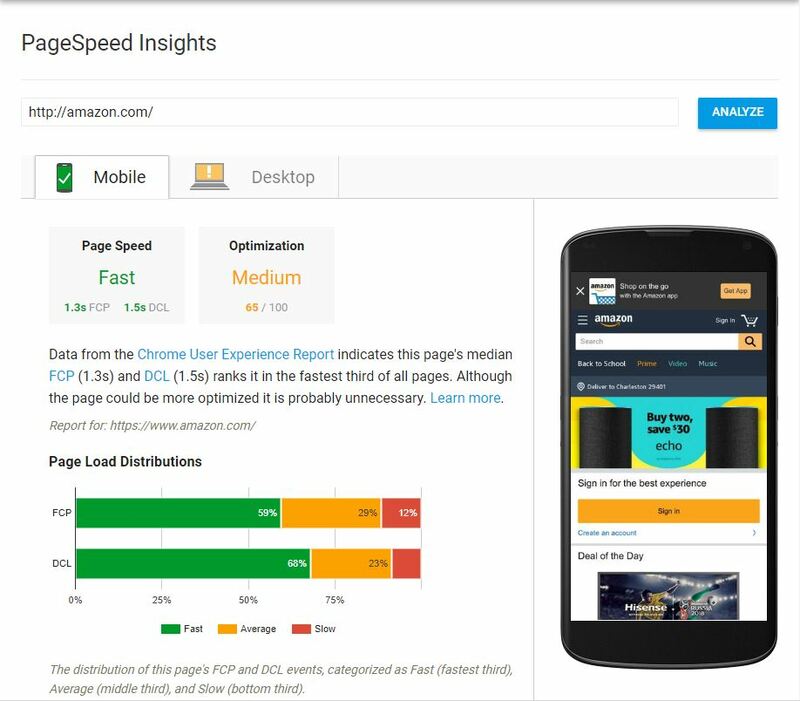 In fact, Google unleashed Mobilegeddon in 2015, which gave a huge boost to mobile-friendly pages in the SERPs. Now, Google has shifted to mobile-first indexing. There’s still only one Google index that includes mobile and desktop versions of websites, but moving forward, the search engine is going to index mobile versions of content and rank it that way. 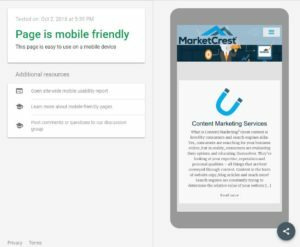 Check your site’s mobile-friendliness using the Google Mobile-Friendly testing tool. Backlinks are still an important ranking factor for the search engines. They’re also referred to as inbound links, and they’re a signal to Google and other search engines that your content is valuable. The key: The links have to come from reputable sites. If they come from spammy, junk websites, they could even catch you a Google penalty – especially if the algorithm believes you’re trying to game the system by collecting these junk links. Good links take some effort to get but pay off big time in the long run. You can’t get them artificially; you have to create great content that people want to link to. Authentic links are the only kind of links you want. A great SEO strategy has even more facets than we’re able to outline here. And the fact is, no matter what you do, you’re not going to skyrocket to Page 1 in the SERPs overnight. But there’s good news. Your efforts will pay off, and when they do, things will start to snowball for your website and your business. Need help taking your search performance to the next level? We’re here to help. Get in touch with us at (469) 661-1040 today for a free SEO consultation.